Ok, so I've decided to scan and post as much fan art as I can, as and when I receive it. 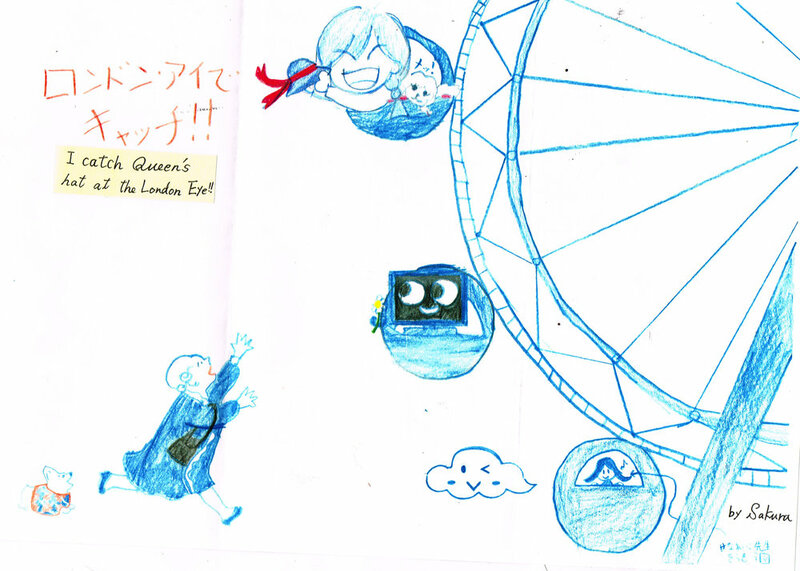 This brilliant drawing is by Sakura, age 9. My Japanese publisher, Hyoronsha, sent this over. Isn't it great? I love that Blip is in this, too!